Situated in the heart of Westminster, this stunning 18th century church was designed by architect Thomas Archer and completed in 1728. It is considered one of London's finest concert venues, attracting internationally renowned artists and performers. With its four pillared towers, St John's Smith Square is a Baroque masterpiece - although it was badly damaged by firebombing during World War II. The reconstruction was able to open out the interior a little, while retaining the booming acoustic, and it is now a hugely successful classical music venue, focused particularly on chamber and choral music, as well as symphony orchestras and solo instumental recitals. There are also a number of art exhibitions, plus a top notch cafe and restaurant. Christian Curnyn directs Mhairi Lawson and Mary Bevan as Faustina Bordoni and Francesca Cuzzoni, respectively, in a varied programme of works by Handel, plus Porpora and Hasse. The organist performs pieces by J Alain and A Alain. Laurence Cummings conducts the orchestra and London Handel Singers to perform Handel's Athalia, with Anna Devin performing the titular character. Lee Parakian conducts the orchestra to perform Harty's A Comedy Overture, Martinu's Rhapsody Concerto For Viola And Orchestra and Sibelius's Symphony No 2 In D.
The pianists performs Mozart's Sonata In D, Weber's Six Pieces and Ravel's Ma Mere l'Oye. The pianist performs Schubert's Sonata Reliquie (unfinished), MIchael Finnissy's Vervollstandigung Von Schuberts, Liszt's Bagatelle Sans Tonalite, Wagner/Liszt's Isolde's Liebestod From Tristan And Isolde and Schubert's Sonata-Fantasie In G.
Fortepianist Kristian Bezuidenhout directs the ensemble to perform Mozart's Adagio & Fugue In C Minor, Allemande From Suite In C, Piano Concerto In B Flat, Andante For Flute And Orchestra In C and Symphony In G Minor. Gilly French conducts Floreat to perform Mozart's Missa Brevis In D Minor and Ave Verum Corpus. Violinist Adrian Chandler directs the ensemble to perform a range of works by Telemann, Pisendel, Brescianello, Bach, Vivaldi and Fasch. What are the best dining options near St John's Smith Square London? St John's Smith Square gyms, sporting activities, health & beauty and fitness. The best pubs near London St John's Smith Square. 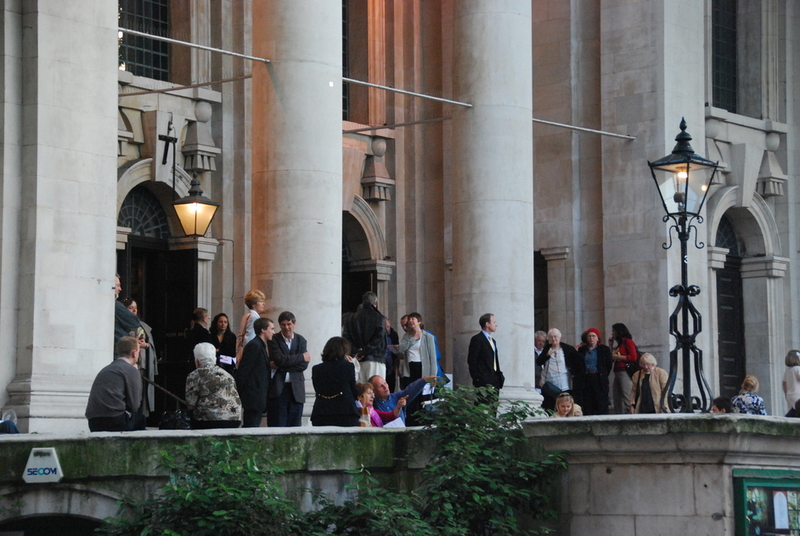 St John's Smith Square clubs, bars, cabaret nights, casinos and interesting nightlife. Where to have your meeting, conference, exhibition, private dining or training course near St John's Smith Square. From cheap budget places to stay to luxury 5 star suites see our discounts for St John's Smith Square hotels, including DoubleTree by Hilton Hotel Westminster from 81% off.